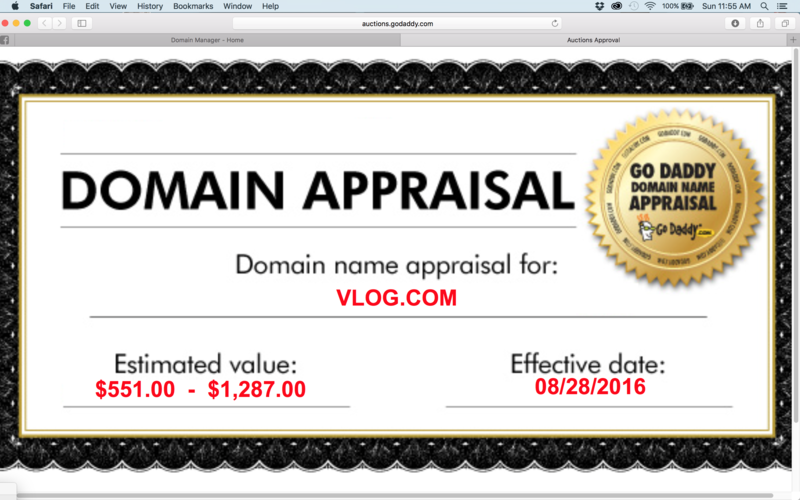 -vlog.com appraisal valuations contradict each other: godaddy $1k, estibot & valuation $122k-with suspicious domain broker sponsored advertisements cahoots. Spot the liars! -http://valuatorpro.com/vlog.com $10 only! oh dear! stay clear! by comparison, disney’s cybersquat dud non site domain video.com scores $37k godaddy & $1 million on other exagerrated hype shites..
vlog receives about 90 unique visitors and 108 (1.20 per visitor) page views per day which should earn about $0.72/day from advertising revenue. Estimated site value is $462.64. According to Alexa Traffic Rank vlog.com is ranked number 3,181,176 in the world and 1.8E-5% of global Internet users visit it. Site is hosted in Houston, TX, 77002, Germany and links to network IP address 185.53.177.7. Which is it, diamond, cubic circonia or pewter..